Spousal abuse, also known as partner abuse, battering, or domestic violence, is a devastating occurrence that unfortunately occurs more often than most are aware. According to the National Coalition Against Domestic Violence, nearly 20 people are physically abused by an intimate partner in the United States each minute. If you are a victim of spousal abuse, our Raleigh domestic violence attorneys at Kirk, Kirk, Howell, Cutler & Thomas are here to provide you with the support and assistance you need to ensure your safety and protect you from future violent occurrences. On the other hand, if you have been accused of spousal abuse, we can assist you in achieving the most favorable outcome to minimize the negative impacts of these charges. Regardless if you are the accused or the accuser, it is crucial to be aware of all your options to achieve the ideal results, which is why our Raleigh attorneys are here to thoroughly educate and assist you. Spousal abuse is a form of domestic violence that occurs specifically within a marital relationship. In other words, spousal abuse only encompasses actions of domestic violence between individuals who are legally married to each other. In other words, spousal abuse involves behavior from a spouse that isolates, scares, intimidates, controls, or humiliates their partner. As previously mentioned, for spousal abuse to occur, the individuals involved must be legally married. If this criteria is not met, but the individuals share a personal relationship together and one of the previously listed actions have taken place, then domestic violence has occurred, but not spousal abuse. What Legal Actions Can I Take if I Am a Victim of Spousal Abuse? If you are a victim of spousal abuse in North Carolina, you can gain protection from both civil and criminal laws. Essentially, civil action can be taken prior to a conviction, and criminal action will be taken if your spouse is convicted of spousal abuse, or in other words, domestic violence. Before a domestic violence trial takes place, you have the option of filing for a domestic violence protective order (DPVO). A DPVO is a civil court order issued by a judge when spousal abuse is believed to have been committed. This provides protection to the victim, usually in the form of a no-contact order, at varying levels depending on which form of proactive order is issued and the criterion involved. For example, a protective order can both temporarily or permanently prevent the aggressor from living in the same house as their spouse, as well as remove child custody and visitation. Ex parte temporary protective orders. Filing for an ex parte temporary protective order is a proactive step to take in acquiring immediate protection until a trial takes place. When filed, the judge will determine the severity of the threat, and will subsequently instate this order either on the same day as the request is received, or within 3 days. However, this order is only temporary and consequently expires after the court hearing takes place. Final domestic protective order. Once the entirety of the court process takes place, a final domestic protective order can be issued by a judge. This provides protection to the victim for up to a year after the trial, but can be extended upon petition. If a domestic protective order is violated and the accused has no prior convictions, they will be charged with a Class A1 Misdemeanor, which carries ramifications of up to 60 days of jail time. However, if the accused has at least two prior convictions upon violating a DPVO, they will be charged with a Class H felony and 5 to 6 months of jail time. If an individual is found to be guilty of spousal abuse, they will be charged with a general misdemeanor or felony, since there are no specific domestic violence charges in North Carolina. However, additional penalties can be added to these basic charges depending on the severity of the abuse. Once an individual is declared guilty, a judge will determine the specific outcomes of the case, such as the duration of the jail time, requirements for child support and alimony, the issue of a final DPVO, and more. This conviction will remain on the individual’s permanent record forever. In addition to these charges, the judge may issue special terms of probation since a marital relationship was involved. What Happens If I Am Arrested for Spousal Abuse Prior to the Trial? If you are arrested for spousal abuse in North Carolina prior to a trial, you can undergo up to 48 hours of jail time before being allowed to post your bond. Once your bond is posted and you are released, your daily actions will be restricted, such as being unable to visit certain areas or loved ones, until the trial takes place. During this time, it is important to consult with a defense attorney, especially if your actions do classify as domestic violence. Being charged with domestic violence can significantly hinder your daily lifestyle and tarnish your permanent record, which is why you want to minimize these negative implications by working with a knowledgeable attorney. At our Raleigh law firm, our defense attorneys will evaluate all of your options, identify the best possible plan of action, and assist you in achieving the most favorable sentence. 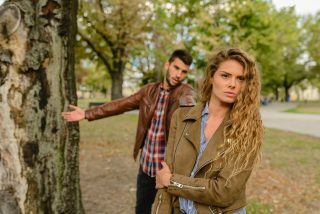 What Do I Do If I Am Wrongfully Accused of Spousal Abuse? If you are wrongfully accused of spousal abuse, your first step should be to immediately seek the help of an experienced defense attorney. Do not speak to anyone about your case until you speak with your attorney, since anything you say can be used against you. Our Raleigh defense attorneys will personally assist you in building the best possible defense to avoid all charges and ultimately prove your innocence beyond a reasonable doubt. Need Assistance with Your Spousal Abuse Case? Let Our Raleigh Attorneys Provide Exceptional Help Today. If you or a loved one are faced with a spousal abuse case, it is crucial to seek the help of an experienced attorney to assist you in achieving your ideal outcome. 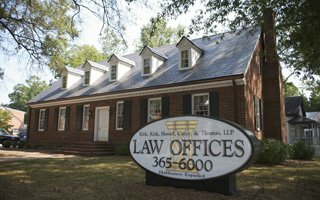 Whether you are a victim of spousal abuse seeking to press charges or an individual accused of domestic violence towards your spouse, our Raleigh domestic violence and defense attorneys can provide comprehensive, superior assistance to thoroughly ensure your safety or build an exceptionally solid defense. Do not delay receiving assistance, contact our attorneys at Kirk, Kirk, Howell, Cutler & Thomas today. You can schedule your consultation by calling our Raleigh law firm at (919) 615-2473 or by completing the online contact form below. We will get back to you as soon as possible.